ES – When did you start 10 times.com? What was the idea behind it? Atul – 10Times was started in 2014. The idea was to make it easy for people to find and attend events. Our core belief is that events help connect opportunities. So more events lead to more meeting, which enables more business growth. Therefore the name 10Times, business is about 10x growth. ES – How has been your journey since inception? Atul – It’s been a roller-coaster ride. Events is not an easy industry. Data is extremely fragmented and unorganized. With technology disrupting industries and processes, event goers need information that is linked and synced. They want a seamless experience to address all their event needs. Piece by piece, we have been trying to address many challenges from discovery to meeting setup. To address a market of over 300 million exhibition attendees, we have been growing steadily over the last 4 years and today the platform serves over 30 million users globally. With minimal investment, we have been able to build a profitable and stable tech company in the event space. While 25000 organisers have used our platform to grow their events, over 400 paid clients from 20 countries have leveraged our platform as the go-to marketing solution. As the only holistic event campaigning platform, we deliver better value than likes of Google and Facebook on a global level. ES – Please share your site traffic, audience demographics, and other statics over the years? Atul – The platform reaches upto 30 million unique users globally. Around 50% of the audience comes from North-America and another 20% from Europe. Most users tend to be over the age of 24 and manager level. So the platform is most popular amongst business professionals. In recent times, we are also growing our focus on younger audience (millennials) who are fast becoming integral part of the work force. ES – Which region do you get maximum traffic from? States of America. We are seeing a growing traffic from South-East Asia, which reflects the rise in economic activity in this region. ES – Can you also obtain insights about the behavioural patterns of the trade visitors through your platform? 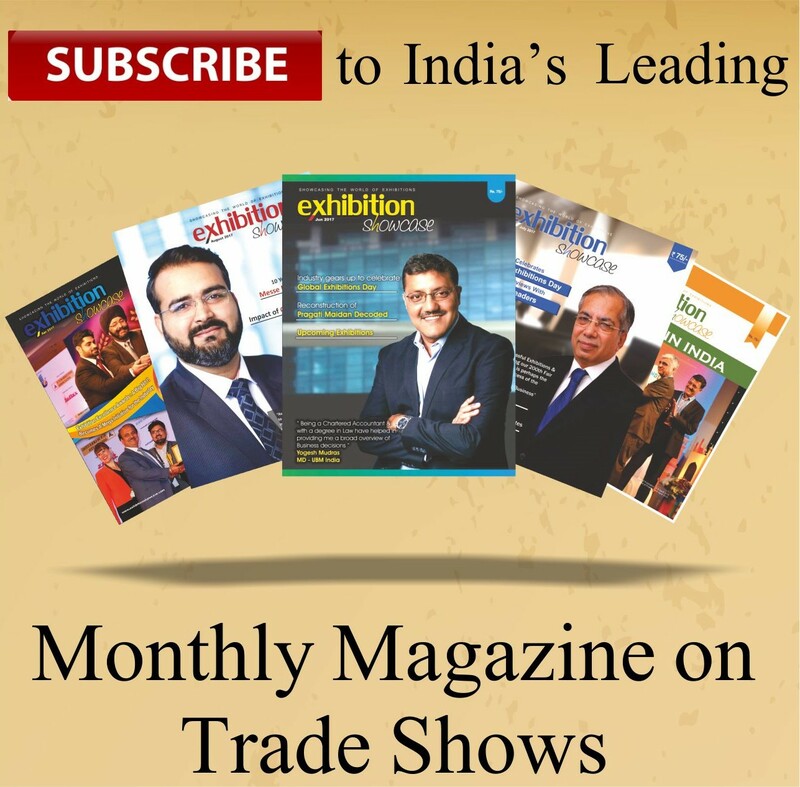 Atul – We have various insights and behavioural pattern about trade visitors. Our goal is to use this data to improve user experience and build a powerful event ecosystem. We know who is interested in what industry, from which country, at what time, what sort of people they want to meet, where they want to go, and many other patterns unique to the event industry. ES – What are your upcoming plans? Atul – In terms of business, we plan to grow our client-base in new regions and expand in Europe & North America. As a platform, to increase our reach, we are moving towards being multi-lingual and launching sites in Chinese & Spanish. We are also targeting the younger audience who might have never attended events, but would be extremely critical in the future. On the user experience front, we are launching many new features to improve ROI that a user gets from attending an event. Things like a seamless calendar view to discover events would be game changing for us. Also, our lead capturing and management system for users, promises to make business cards redundant in near future. For the organizer, we have launched oDash, an all-in-one platform for event management to get all their tech solutions at one place. It offers very critical solutions like a custom event app, website, matching, communication management, feedback aggregation, to name a few. From a long-term perspective, we are working on AI & machine learning solutions to improve the overall platform performance and recommendation engine.